The leadership of the third-largest group in the European Parliament has asked the German members of anti-immigration party Alternative for Germany (AfD) to leave the group, but it has no intention of doing so. The bureau of the European Conservatives & Reformists group (ECR) met in Strasbourg on Tuesday (8 March) to discuss the future of AfD. 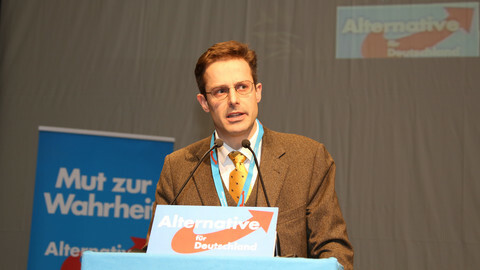 Dutch ECR member Peter van Dalen told this website that the debate had been triggered by recent incidents, inlcuding comments by AfD members about the use of firearms to prevent migrants crossing the German border, and a meeting in Dusseldorf between leading members of AfD and the far-right Freedom Party of Austria (FPO). The FPO sits in a different European Parliament group alongside French members from the extremist National Front party. “The meeting with FPO, caught on video, was very shocking to several members,” said Van Dalen, calling it a “game-changer”. He said the AfD comments on whether it is permitted to use firearms against refugees were “inhumane”. Beatrix von Storch, an MEP for AfD, told this website that the whole affair was designed to damage the party's chances in regional elections in Germany this Sunday. 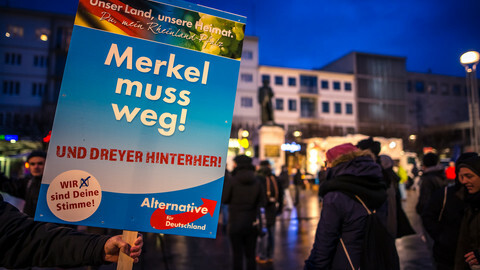 “[German leader] Angela Merkel wants to damage AfD before our election,” she said. She said that British PM David Cameron, whose Conservative Party MEPs account for 27 percent of the ECR, instructed them to orchestrate her party’s defenestration in return for Merkel’s help in talks on new terms for British EU membership. “David Cameron needs the help of Angela Merkel, and he obviously does not want to have real reformists in his [EP] group. He would rather stick with [Merkel's centre-right] CDU [party], and our British delegation is playing that game,” she said. 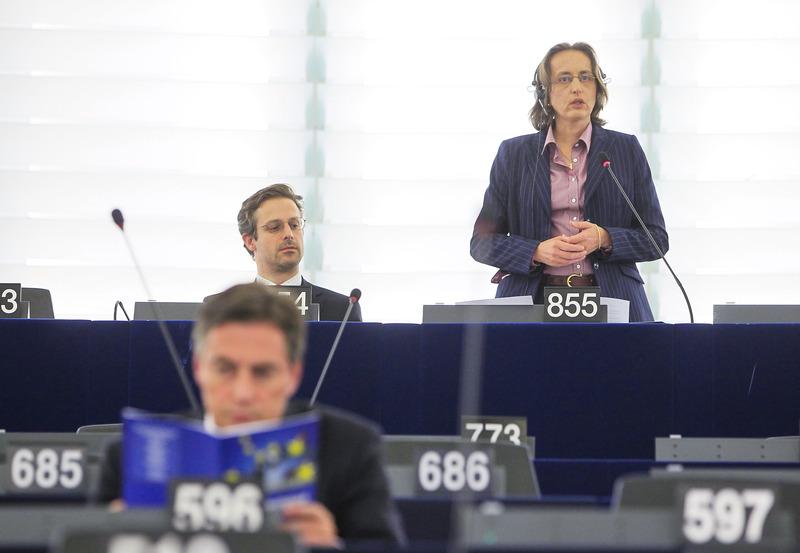 Von Storch said the firearms comments and the Dusseldorf meeting are not the real reasons for the expulsion because her party had already explained itself to the ECR in recent weeks. “If this was the real reason, why wait until five days ahead of the election?”, she said. She said her party still had the backing of the majority of the group. “We have realised that there is no majority to expel us from the group. If there was a majority, we would have had a vote yesterday [Tuesday] night,” she said. Another ECR source, who asked not to be named, gave a different account of events, however. 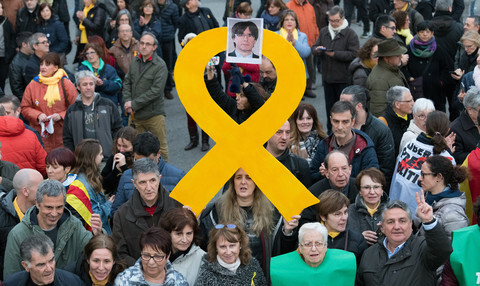 The source said there was no vote on Tuesday only because ECR deputies wanted more time to make their decision. The ECR’s Van Dalen also disputed Von Storch's version of events. He said there was no Cameron-Merkel deal. “This originates entirely from within the ECR,” he said. 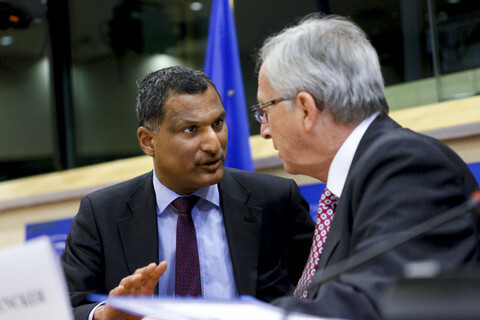 Group leader Syed Kamall, one of Cameron’s MEP, declined to comment on Wednesday. But the group's spokesman James Holtum also said the Cameron-Merkel theory was “completely not true”. 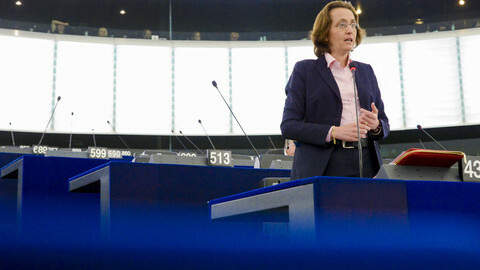 Von Storch said Pretzell remained defiant on Wednesday. 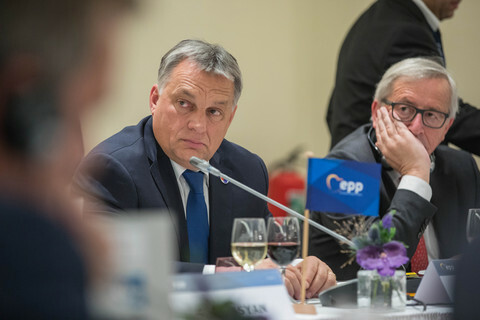 The row highlights the substantial differences in the ECR, a group which has one of the least cohesive voting patterns in the European Parliament. Van Dalen, for instance, is a member of a Dutch Christian party which is more left-wing on social affairs than many other ECR parties. The AfD had already lost some of its MEPs after a split. 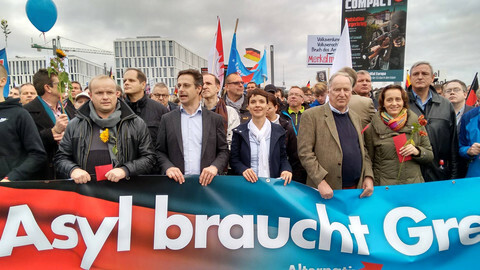 The party entered the EU parliament with seven deputies, but five of them have since started their own party because they felt the AfD had become too extreme in its views on migration. 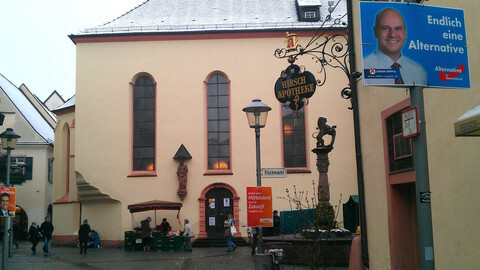 Von Storch said she still expected her party to do well in Sunday's local elections in Germany. "People back in Germany don't know so much about the groups within the European Parliament," she said. Three German states will hold elections on Sunday. 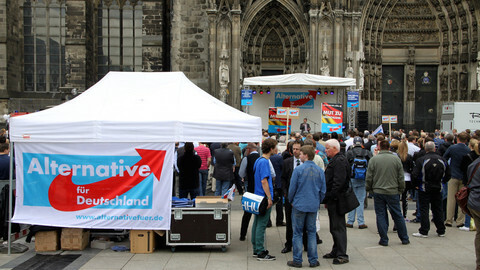 Regional themes are overshadowed by the refugee crisis, and a breakthrough for anti-immigration party AfD looms. AfD deputy Beatrix von Storch, under fire for anti-immigrant remarks, abandons EU parliament group prior to a vote to kick her out. Future of other AfD member unsure. The right-wing Alternative for Germany calls for a ban on minarets and the Muslim call to prayer in its party manifesto, saying Islam is not a part of Germany.